A middle aged man man Karanjee village in Limuru was recently caught at a nearby maize plantation doing it to a sheep. 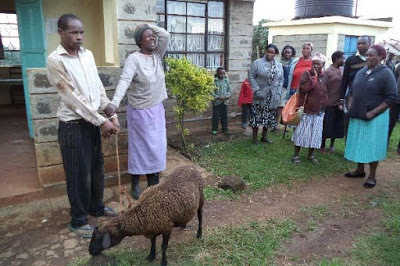 Christopher Momanyi who is a father of three kids was caught by villagers in the act when villagers heard a strange noise being made by the sheep. 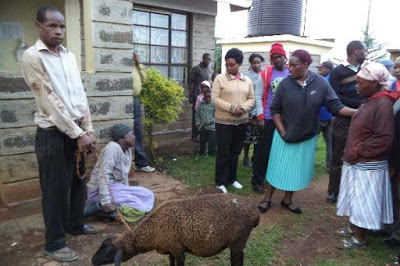 A neighbor, Nancy Wangari said they heard the sheep beating and thought it was sick, but when they rushed to help it they found the guy bus in the act. Momanyi has denied the allegations and he said he saw the sheep going into the plantation when he went to get it out but felt the urge to urinate when the villagers found him holding his stuff. He is currently locked up at the police station and investigations are going on.